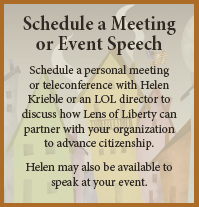 During 2017, FreedomWorks partnered with the Vernon K. Krieble Foundation to produce the following videos, selected from some of Helen’s favorite Liberty Minutes. These videos have been watched over 550,000 times! We agree! We hope you enjoy these videos by FreedomWorks.